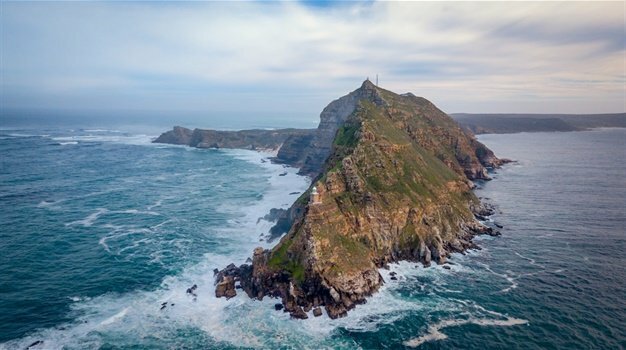 Cape Town - Hotels and restaurants across the Cape Peninsula will be celebrating Christmas and New Year with a big spread of food in glorious settings from seaside and cityscape, to vineyards to gardens. Christmas does however still come with crackers, paper hats and presents – along with roasted meats like turkey and gammon with all the trimmings – but it’s often served al fresco as children swim and play outside. If you are self-catering, be sure to locate the braai (barbeque) before planning a Christmas feast on the coals. Popular choices for local Christmas day braais include turkey, gammon or chicken smoked and slow cooked in the Weber (kettle braai) or crayfish tails, dorado or snoek on an open fire. For some handy ideas on how to prepare the perfect braai, visit South African braai icon, Jan Braai or follow him on Twitter on @janbraai. Buy local magazines like Taste, Food & Home and Fresh Living, or visit www.food24.com to source some recipe ideas and to inspire the look of your summer Christmas table. The ultimate expression of an African Christmas is a wire and bead Christmas tree from an informal trader or craft market. Buying one (and the accessories) not only gives you a Christmas treasure to cherish but also sustains the livelihood of the crafter and his/her family. Go one step further and buy all your Christmas presents from local traders. Find the ideal gifts at the V&A Waterfront’s new Watershed, browse Greenmarket Square, visit the Old Biscuit Mill in Woodstock and shop with gusto at the many Christmas markets that happen across Cape Town. Christmas is all about children, so take them for a night-time drive through the Cape Town CBD to see the Christmas lights. Stop off at the Company’s Gardens Night Market, an annual event in the beautiful historic garden that sees 200 traders selling their wares from 16h00 – 23h00 between 20-30 December (excluding Christmas Day). Or take the children to hear a very special African Christmas story at the V&A Waterfront on 24 December at 17h30 (till 19h00) as Gogo (grandmother in local language Xhosa) tells the story of the birth of baby Jesus with warmth and humour - as well as a selection of traditional hymns infused with African flavour. Another way to bring in Christmas Day is to attend midnight mass at any number of Cape Town Churches. The city centre’s St Georges Cathedral (5 Wale Street, Cape Town) is a popular place for worship and has an interesting history in the struggle against apartheid. After all the fun of Christmas Day, Capetonians like to get out and about on Boxing Day – 26 December. Beaches and restaurants are packed so be sure to make your reservations well in advance, allowing yourself some extra time for beachside traffic. For more ideas on what to do in Cape Town these holidays, visit Cape Town Tourism at any one of their Visitor Information Centres or mobile information units – or online at www.capetown.travel.